Just like previous years, I'll be hosting several Q&A sessions with filmmakers at the Razor Reel Fantastic Film Festival in Bruges. Below are the trailers of the movies I'll be talking about. Enjoy. Today, November 9 at 8 pm, I'll be doing a Q&A with director Till Kleinert about his celebrated movie Der Samurai. In his film, a young police officer finds a man walking in the woods, wearing a dress and carrying a katana (samurai sword). The samurai invites the police officer on his destructive crusade towards a nearby village, a journey that will change him forever. Forget everything you know about good taste and normal filmmaking. Todeloo is a low-budget film made by a group of friends, and, most importantly, it takes place entirely in a toilet. It stars a toilet lady, a tax collector, a drug dealer, a bunch of local junks, and a serial killer who tries to flush his victim's body parts down the drain. On November 10 at 8 pm, the makers of Todeloo will be talking about their crazy project. It'll most probably be an unusual Q&A as well. Simeon Halligan has already proven with Splintered that he knows how to make a good horror movie. He's back with White Settlers, a suspenseful chiller about a couple that moves to an isolated farmhouse. As darkness falls, they suspect they're not alone. They don't belong there and they certainly aren't welcome. If you want to know more about this film, then come to my Q&A with director Simeon Halligan on November 14 at 6 pm. The revenge thriller Julia centers on a woman who falls prey to an unorthodox form of therapy to restore herself after suffering a brutal trauma. Director/screenwriter Matthew A. Brown will talk about this movie during our Q&A on November 14 at 8 pm. 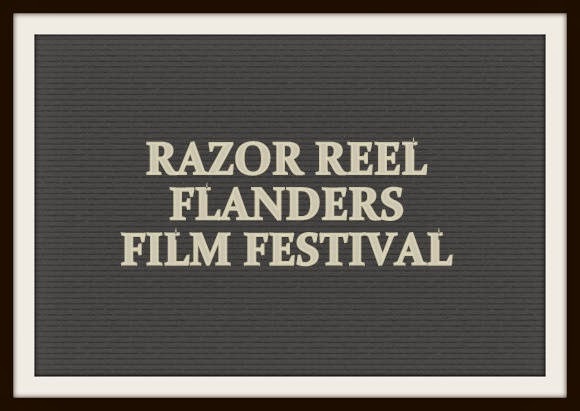 Have you ever been to the Razor Reel Fantastic Film Festival? Which films of the festival are you looking forward to? The entire film takes place in a bathroom? Using just one confined scene was probably very challenging. Ik ben helaas niet zo'n filmkijker en nog minder een kenner. I'm really curious about the film that takes place in the bathroom. That will take some snappy writing to be interesting! I love that you are seeing so many films - such a great variety! How exciting! Have fun. All of the movies sound great. Hi Vanessa - I really don't like horror movies - but being able to be a part of this film festival must be amazing. I went to see Babadook last night .. that was crowd-sourced ... and is not a film I'd normally see (at all) ... but I was interested, informed and challenged watching it .. These all sound intense and interesting. I'm very curious about the bathroom one. It takes place in a toilet! Wow! All of these sound really interesting!! !